MP Matt Warman hosts meeting in the Commons. Greater Lincolnshire Local Enterprise Partnership launches its Water Management Plan at the House of Commons today with support from county MPs and DEFRA, the Department for Environment, Food and Rural Affairs. 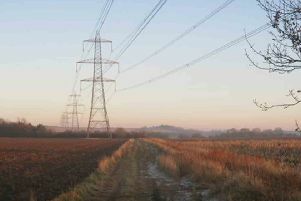 The LEP is calling for more investment in infrastructure to allow Greater Lincolnshire’s economy to grow, in terms of addressing both the risk of flooding and the reliable supply of water. Among those expected to attend the launch are Rt Hon Andrea Leadsom MP, Secretary of State for the Environment; Rory Stewart MP, Minister of State for International Development and former Floods Minister; and Peter Simpson, Chief Executive Officer at Anglian Water. The launch is being hosted at 4pm today by Matt Warman, MP for Boston and Skegness. “Greater Lincolnshire has a particular set of challenges, including relatively low rainfall and large areas of low-lying, reclaimed farmland,” said Ursula Lidbetter MBE, Chair of the Greater Lincolnshire LEP. “It also has a major agrifood sector which relies on effective water management and a long, low-lying coastline which is subject to flood risk – the risk of coastal and river flooding affects up to 45 per cent of the land in Greater Lincolnshire. “We have long recognised the vital importance of water management for Greater Lincolnshire, which is why we established our Water Management Board and a series of water for growth workshops in 2015. Mr Warman said: “I am delighted to be able to host the launch of Greater Lincolnshire’s Water Management Plan in Parliament. The plan is vitally important to help prevent flooding in our county, while also supporting local economic growth in areas such as Boston and in making sure we have enough water for our agricultural sector. With 100,000 new homes planned and increased demand for water in agriculture to enable the area to reinforce its position as the vegetable and salad bowl of England, LEP says the need to secure more sustainable water supplies is clear. But, at the same time, it says the county needs to reduce the risks of flooding due to an increase in extreme weather events. Managing these extremes is an important challenge, which is why the LEP has commissioned a Water Management Plan for the area. The plan sets out the LEP’s strategy for water management, both flood reduction and water supply. Its aim is for Greater Lincolnshire to be seen as a national exemplar for water management and to act as an incentive for investors in the LEP’s priority sectors. The plan can be divided into three key themes: ensuring adequate water is available for growth; flood risk reduction; and education, research and training.